With a change in the seasons looming, consider a new paint job to perk things up. 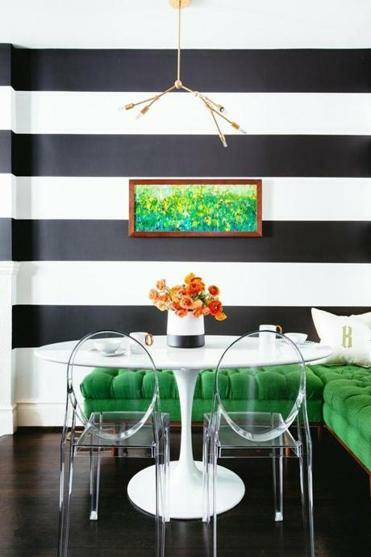 Banish bland walls in favor of azure or define your doors in fashion forward glossy black. Order up the new look online at Paintzen using the company’s new DIY Program. Log on, input measurements, and pick from 3,500 Benjamin Moore colors. Paintzen will deliver a complete kit that includes paint, brushes, rollers, trays, drop cloths, and even that blue tape. If you’re feeling even lazier, skip the whole DIY enterprise altogether — Paintzen dispatches professional painters too.